I look forward to putting up our Christmas tree every year for two reasons. The first reason is knowing Patrick is going to love it. There is something about the twinkling of each delicate light and moving to and fro that allows him to appreciate the full spectrum of colors in a way I wish I could see. For Jeff and me, it is a yearly trip down memory lane. Our tradition is to put up our tree the Saturday or Sunday after Thanksgiving. Two years ago, Patrick was in his bedroom at the time. When he came into the room the next morning, the smile that crept up on his face was brighter than any star in the sky. My Christmas contentment lay within that smile. Last year he became the task-master, voicing his protest if we stopped at all to take a break. We would deliberately rest just to bust his chops and listen to him protest. This year he mellowed out, eagerly watching the lights go up, but still loving every bit. He is not quite ready to put the ornaments on the tree. We have tried. I think he does not like the feel of the artificial tree. Every ornament I can trace back to a loving memory. After my mother died, of all the items left to me, the six ornaments that date back to my childhood hold the most significance. Being the dysfunctional home it was, our holidays then were filled with a mixture of happiness and heartache. However, when I look at these ornaments, I choose to remember the joy. They are old and falling apart. I do not know how much longer I will be able to repair them. 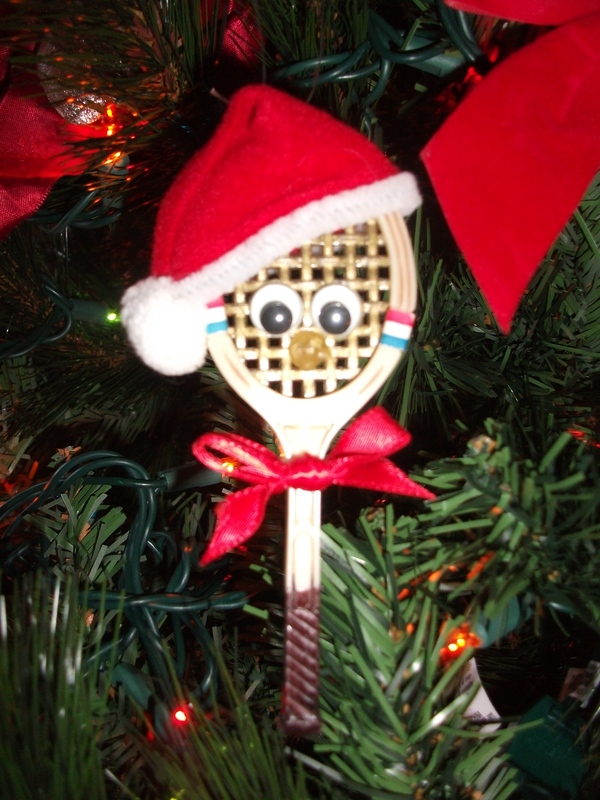 The tennis racquet ornament brings to my mind memories of my first love and the Christmas we spent together here in Houston. Tennis racquet I bought for my first love. There is the Santa & Mrs. Claus sleeping in a bed, handmade by a physician’s assistant with whom I worked; Mrs. Claus’ head is now missing. Mr. Claus sleeps with a headless Ms. Claus. There are the many ornaments I gathered in the first days of my first apartment. 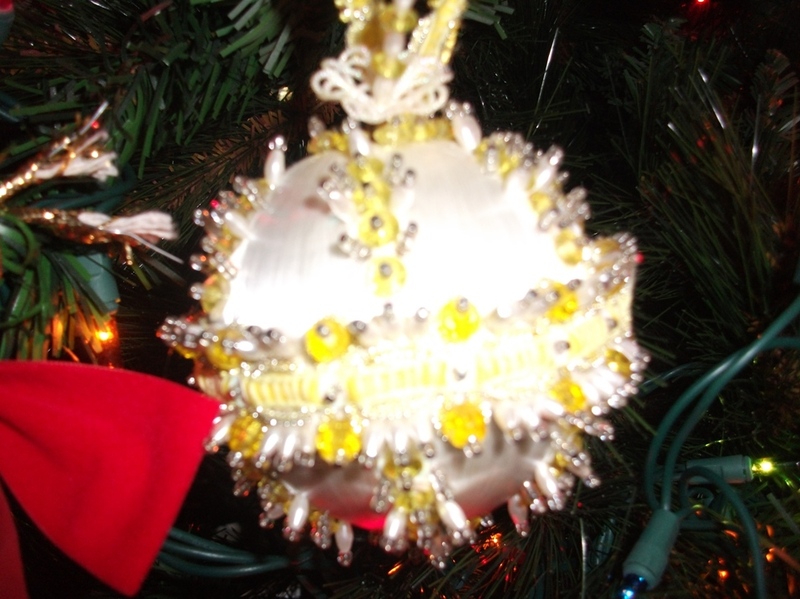 I found a wonderful company called Cracker Box who makes kits for these homemade ornaments with beads and lace and pins. For two years, one each year, I made these works of art. Their instructions were hysterical, injecting the personality of those who wrote them. Those pins hurt putting in after awhile. Before getting married I joined a Disney ornament-of-the-month club. There is Minnie, Mickey, Pinocchio, Donald Duck, and several others from that period of my life. Pinocchio’s nose has broken off. 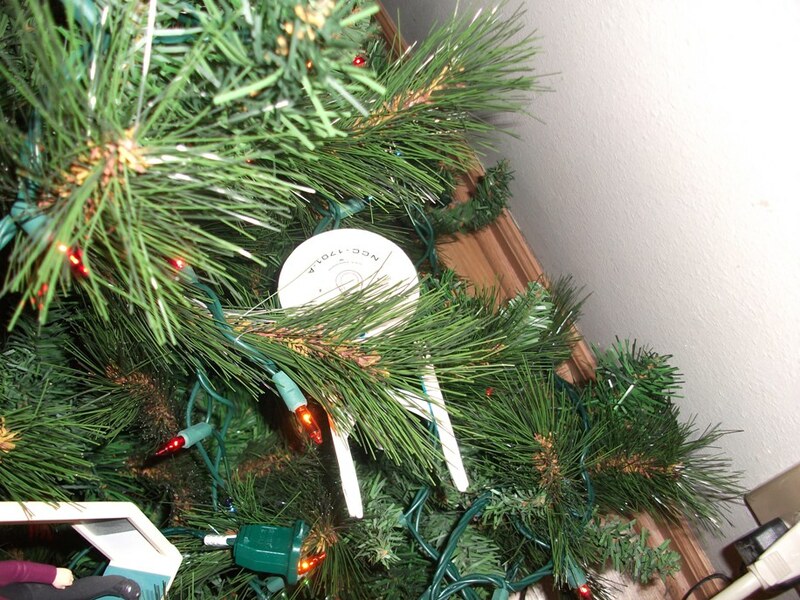 We moved on to our Star Trek ornament collectible obsession. Picard stands watch of the Enterprise (the original) below. 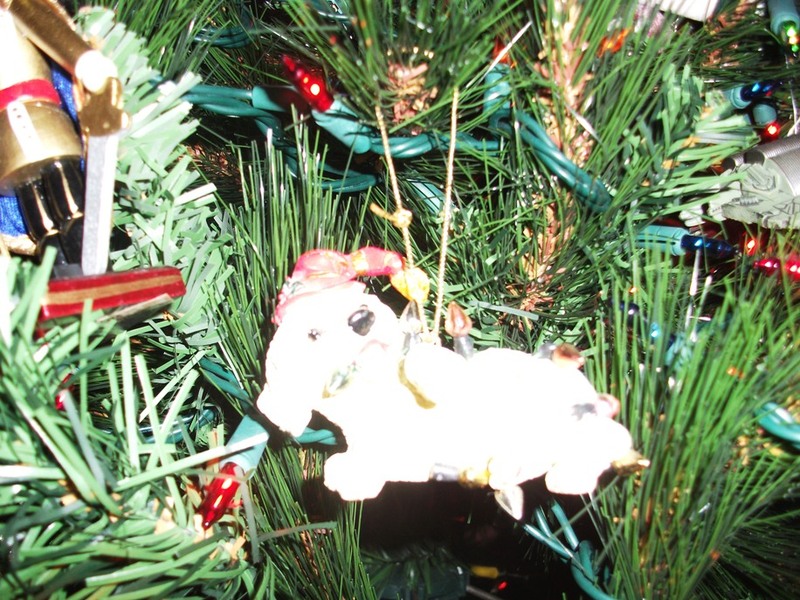 It was then we began our golden retriever ornament collection. Golden retrievers are now our obsession. After Patrick was born, we added a “Baby’s First Christmas” ornament. 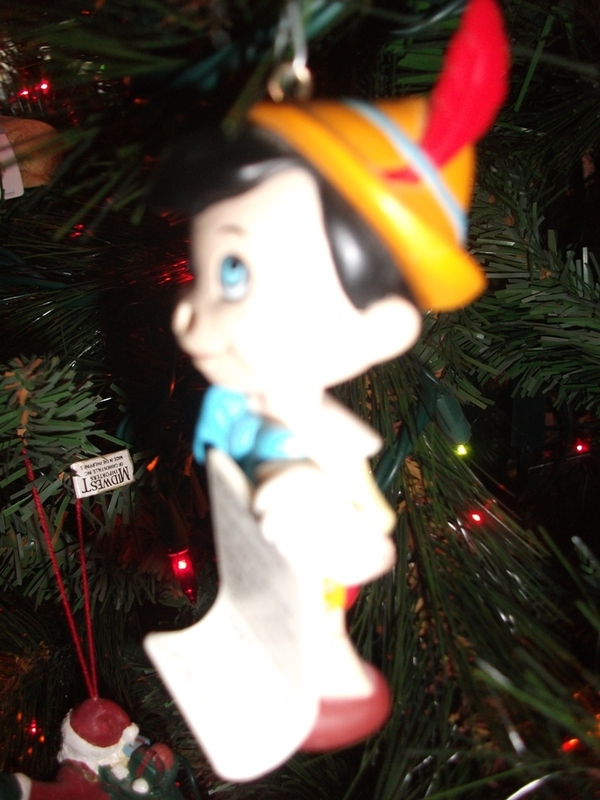 Three ornaments are a result of my trip to Disneyworld in Florida in the late 1990’s with some friends. I have an ornament or two from an overnight trip to Kemah, Texas. 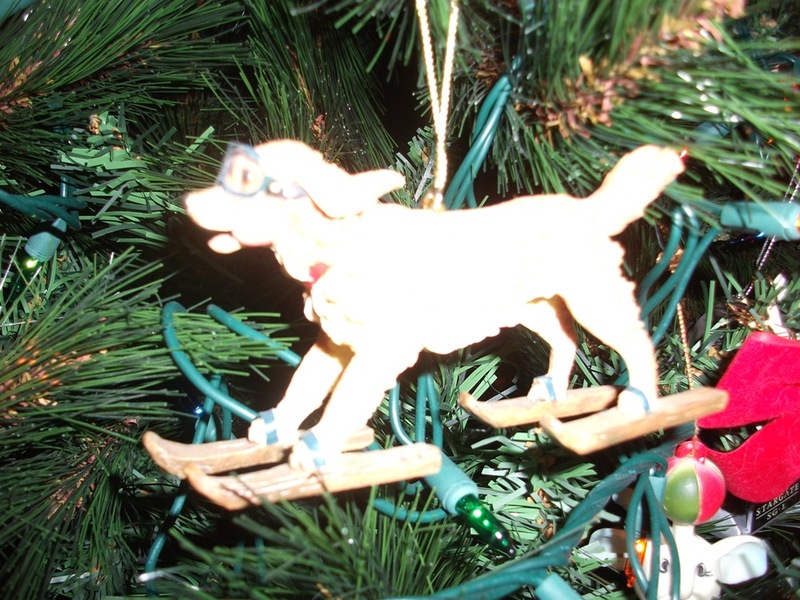 During our 2001 trip to Vancouver, BC, I picked up an awesome golden retriever ornament on skis and with goggles on from a store in Whistler (where the 2010 Winter Olympics were held). From Whistler, BC to our home. 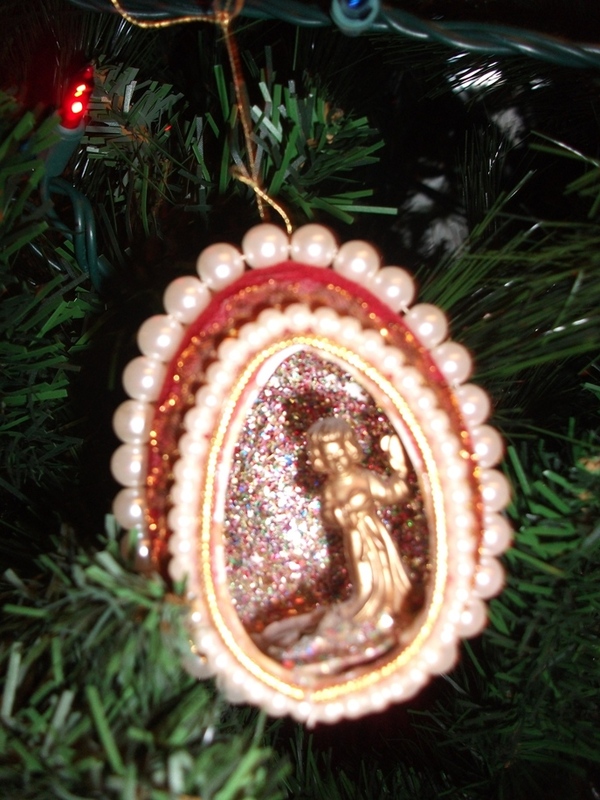 I remember each ornament given to us as a gift and by whom. I think of those people with affection as we are hanging them. 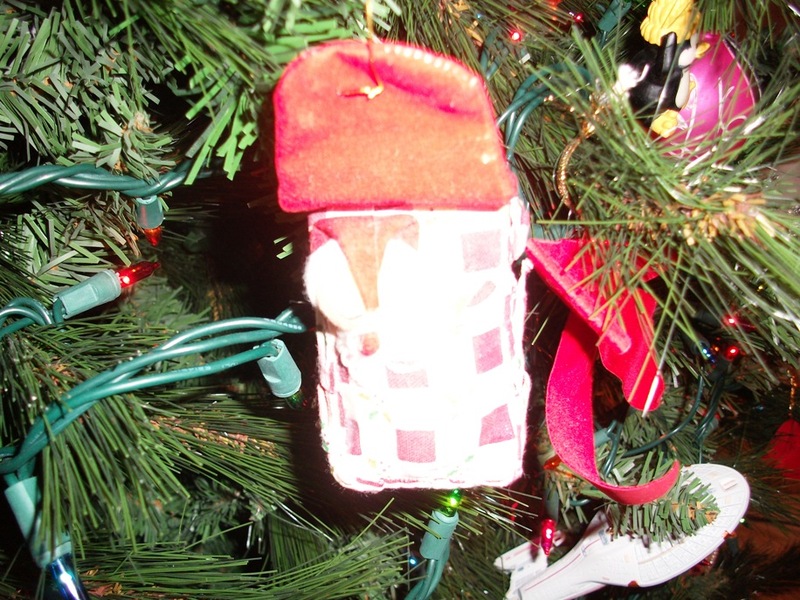 Adorning our tree, too, are the handmade ornaments Patrick has made since he was a toddler. 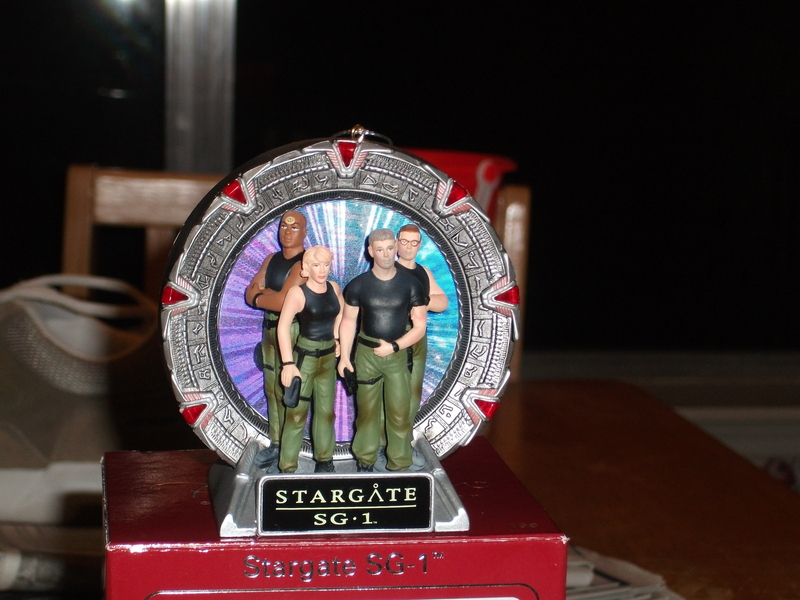 Two years ago, MGM put out a Stargate SG-1 ornament (that I got half-price the bargain shopper I am). I was gravely disappointed to find our local Carlton Cards went out of business. Once done, we sit back and marvel at our memory tree, a symbolic diary of our lives. What are your Christmas tree traditions?